I was fully prepared to skip Thanksgiving this year. I’d phoned in my regretful absence to all invitations with the hopes of spending my Thanksgiving alone. I’ve been really enjoying the quiet of my home and wanted to let that particular gratitude sink. I’m grateful for my able body, my safe space that is home, and my own growth and newfound comfort in being myself all on my own. Plus, I hate being told what to make or how to do it. Cereal sounded just fine. The ol’ turkey day classics seemed wholly unappetizing to me this year. You’ll be shocked to know that we sample many, many things at Caputo’s meetings. Once your surprise subsides, carry on reading. At one such meeting yesterday while discussing the many things I love to make with honey in this particular season, my fennel pollen and honey glazed carrots came up. Yelena’s face lit up, Matt made a weird grunty noise, and just like that, I was planning a Thanksgiving meal, all for me. These are the carrots that put me back in the mood to celebrate, even if it’s a party of one. A turkey is simply out of the question when cooking for one, but the rest of what I’m making is easily scaled down for one eater, plus leftovers, of course. Cranberries, stuffing, carrots, root veg gratin, and the smallest chicken I can find are on the menu this year, followed by a tarte tatin that will likely be brought to work the next week. So here you have it, the carrots that inspired a real Thanksgiving. When I’m long gone from this world, I hope my family and friends continue to enjoy this dish for generations to come. They’re one of my favorite recipes, and they me. Heat a large stainless steel skillet and melt butter over medium heat. Add carrots in one even layer, and raise heat to just to medium high. 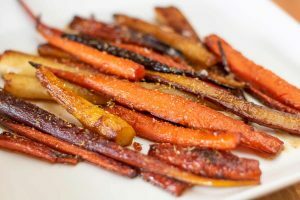 Turn carrots a few times over the course of about 15-20 minutes so all sides are browned and carrots are tender, but still slightly crisp in the center. 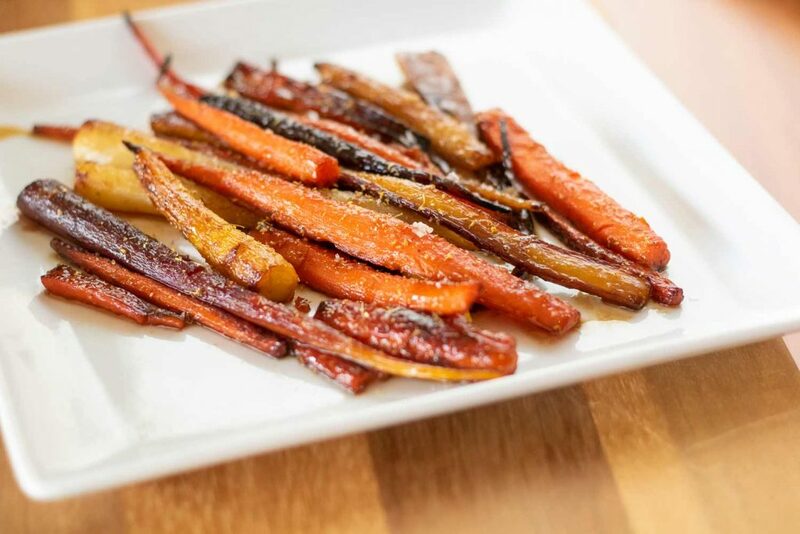 Drizzle a spoonful of honey over the carrots, toss, and keep on the heat for another 1-2 minutes. Add salt to taste and finish with the sprinkling of ¾ of the fennel pollen. Toss once more and transfer to a serving dish and finish with the remaining fennel pollen, and maybe some flaky salt, before serving.